The landscape for Mac malware has changed dramatically in the past couple of years: threats are now more complex, more varied, and more numerous. macOS vulnerability allows “root” access without authentication. Details of vulnerability released over Twitter by security researcher. Compromised IoT devices could infect other home network-connected devices, including laptops, Mac, and even your smartphone. Even Apple users need to protect their data and online privacy, and keep their device secure. macOS security has become a necessity, especially as cybercriminals get smarter about tricking users or identifying vulnerabilities. Where Does Your Mac Fit in Your Smart Home? Despite built-in security features, hackers can use your Mac to infiltrate your home or organization’s heating, lighting, or electronics systems. Do Macs play a role in spreading malware? Unfortunately, the answer is yes. Safeguard your phone by enabling traditional authentication and loading a security solution. The days where Mac users could consider themselves safe from malware are gone. How it works: Attackers compromise a vendor’s website, then replace legitimate apps with those carrying data-stealing malware. Did you know? Adware can monitor Mac activities without consent, and some forms try to disable anti-malware protection. The newest macOS features built-in security features – but users with older OS’s can protect their privacy and devices with these simple techniques. Most garden-variety Mac threats covertly collect sensitive user data by bundling themselves with legitimate applications. 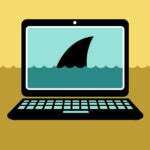 Steering clear of adware-serving threats can be difficult—many are bundled with software or appended to malicious email attachments. Keranger: the first “in-the-wild” ransomware for Macs. But certainly not the last. Keranger was the first – but now experts see ransomware-as-a-service that enables interested “customers” to purchase Mac-hostile ransomware. Safeguarding Mac data isn’t complicated. Use the Bitdefender Antivirus for Mac for added security. This malware’s striking characteristic: its ability to drop a payload individually designed for Windows, Linux, and Mac OS running devices.